A Spa Aquae Gift Certificate Makes a Thoughtful Valentine's Gift! Delight in subtle scents of sweet creme as your feet are enveloped in luscious body butter. A decadent side-by-side experience of Himalayan Salt Massage with Decadent Chocolate Facial. What’s better than accomplishing a new yoga pose that you’ve been practicing for a while? Sharing that moment of excitement with someone you care about. Partner stretching can increase your flexibility and stabilize your balance during yoga practice. Overtime you will notice a positive change in your routine by implementing these stretches with your workout buddy. Supported Downward-Facing Dog: Stand facing your partner and put your hands on each other’s shoulders. Then start to walk backwards away from each other while still holding shoulders. You’ll feel a great stretch in the shoulders, hamstrings, and back. Gate Pose: Have both partners come to stand on the knees, facing forward. One partner lengthens her left leg out to the left, while the other lengthens her right leg out to the right, crossing the legs in front of each other. Both partners then reach their outside arms over towards the center, creating a kind of gate overhead. This move opens the shoulders, and helps to reduce neck and shoulder tension. Back-to-Back Pose: Sit back to back with your partner so the spines are aligned. Next, both partners twist their torsos to the left, placing their right hands on their left knees and their left hands on their partner’s right knee to aid each other’s stretches. Then twist to the other side. This pose stretches and strengthens the lower back muscles to reduce and prevent pain. Partner Straddle Pose: Both partners get into a seated straddle position facing each other, with feet pressed against each other. Both partners hold opposite wrists as one partner leans back and the other leans forward. Then switch positions so both partners feel a stretch. In conjunction with deep breathing this comfortable pose will brings clarity to both the body and the mind. 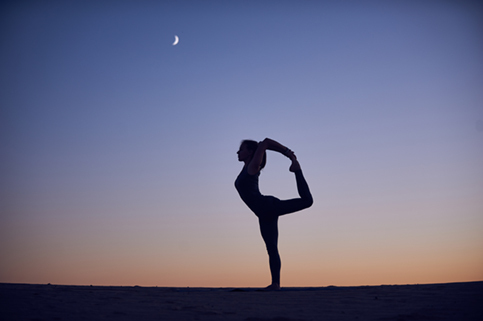 Bring your buddy to our meditative yoga class under the stars! Registration is only $10 and class space is limited. 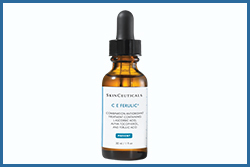 Spa Aquae is proud to feature Skinceuticals - skin care formulated to maintain and improve skin health. An effective skincare regimen must contain three fundamental elements: Prevention, Protection and Correction. Designed to prevent signs of future damage, protect healthy skin, and correct the appearance of previous damage, SkinCeuticals is committed to advanced skincare products that are backed by science. Bring Your Spa Experience Home! 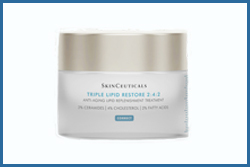 Great for combination and aging skin- light acid blend with 6% active ingredients. 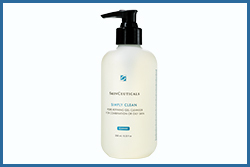 This cleanser stimulates enzymatic exfoliation to refine pores and enhance overall skin texture. A.G.E. 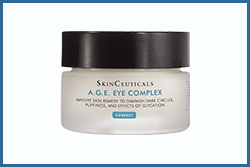 Eye Complex is an advanced anti-wrinkle eye cream that improves the appearance of dark circles, puffiness, and crow’s feet. 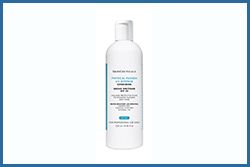 Physical Fusion UV Defense SPF 50 is a weightless fluid that combines 100% mineral filters with translucent color spheres for effective broad spectrum UVA/UVB protection and an even, radiant finish. Instantly refresh, transform and correct. 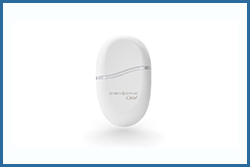 Visibly reduce puffy eyes & crow's feet fine lines with our Sonic Awakening Eye Massager. ©JW Marriott Las Vegas Resort & Spa. All rights reserved.